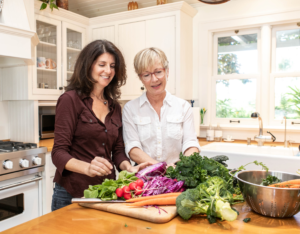 The Food as Medicine series was created as a way to educate the community on how food affects your body and how making healthy choices can lead to a healthier life. Presented by professional nutritionists Vibeke Weiland & Randi Miller, this lecture will cover how adding cruciferous vegetables like broccoli, cauliflower, and cabbage to your family’s diet can help prevent cancer, detoxify harmful chemicals from your body, and positively change the way your genes affect your health. A comprehensive list of cruciferous vegetables—there are more than you think! Cruciferous snacks for nibbling while you learn. This entry was posted in Events, Featured Events on January 18, 2019 by Hailey Phelan. Preface: This interview took place last year. She is graciously hosting this year’s Table of Life Event at her Estate. What a wonderful partner she has been to the Foodbank! Many of you have heard of the Table of Life Fundraiser that supports the Foodbank’s Feed the Future programs, a sequential series of programs created by the Foodbank of Santa Barbara County that fosters nutritional health and independence in children of all ages. This year, on October 5th, the Foodbank is thrilled and proud to have Stephanie Sokolove as Table of Life’s keynote speaker. 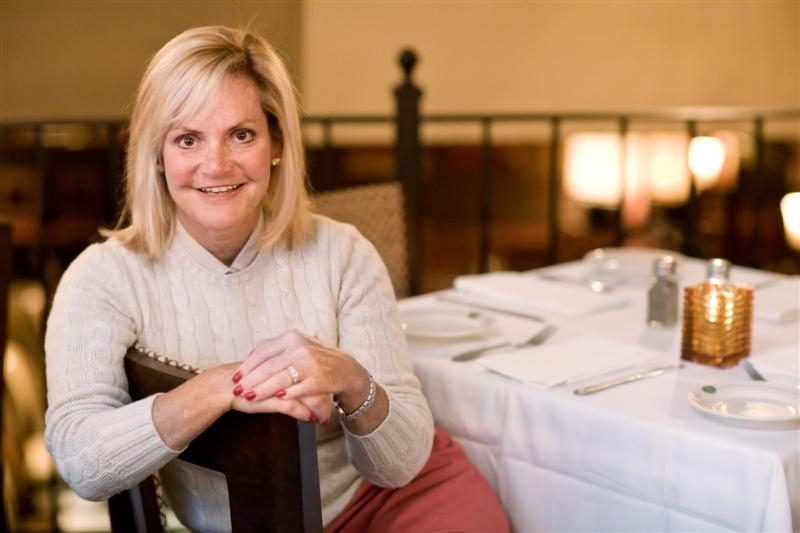 Stephanie is Owner and Executive Chef to THREE nationally recognized restaurants in the Boston area, Stephanie’s on Newbury, Stephi’s on Tremont, and Stephi’s in Southie. Stephanie has built her business on a style of cooking that she calls “Sophisticated Comfort,” a style that is fresh, interesting, and yet familiar. “Sophisticated Comfort Food” is the next generation of comfort food in that it blends traditional favorites with today’s food preferences. Dishes are imaginatively created with current, fresher ingredients and bolder flavors then artistically presented. At the restaurant, Stephanie spins familiar classics into elegant dishes that comfort and surprise without being fussy or intimidating. I sat down with the gracious Stephanie Sokolove to ask her some questions about her health and food philosophies, and of course I couldn’t help but ask a little about her restaurants. To me healthy is waking up and feeling good; feeling energetic, clear headed and ready to face the day. It’s important to be able to function at your top level. If were not healthy it’s hard to get through the day. For example, I play golf. To feel and play my best, I don’t eat big meals beforehand, as I need to feel light to play well. It’s got to play into it. But I believe survival probably comes first before health. If people knew where healthy choices were offered, I think they would make the right choice. But people don’t always know where to get healthy foods. If we can get this message out to the community, I think that would be amazingly welcomed. What kills me is to see overweight kids, eating unhealthy foods, they can’t feel well! Personal health choices and restaurant services can be conflicting, as, what makes food delicious is not necessarily what you should eat every day. However in my restaurants, everything is fresh, nothing comes out of a can; fresh is best. That is a requirement to make food delicious. Sugar, butter, and salt tend to make food taste better but we have cut back on these things for our health. So we also offer dishes with less butter, less cream, and use fresh sauces instead of cream sauces for fish. California food has seen an evolution over the last 20 years. It was known for its heavy comfort foods, but now we are seeing lighter comfort foods and fresher options like all kinds of amazing salads. I believe the Avocado is the healthiest single food we could eat. And it is so versatile! Substitute for oil and butter. It’s a Fruit/ vegetable that is worth experimenting with; Salads, sauces, baking. Salads don’t need oil, ripe avocado gives salad a lovely creamy texture. Working in a restaurant where food is abundant, you become unaware of how much food is needed. Working with the Foodbank has been an eye-opener to me. This entry was posted in Featured Events, Guest Expert Interviews, The BEET and tagged Guest Interview, health, restaurants, Stephanie Sokolove, Table of Life on September 11, 2015 by Judith Smith-Meyer. For a donation (ticket price: $25), attendees select a beautiful hand-crafted ceramic bowl, enjoy a meal of gourmet soup and bread, and take home the bowl as a reminder of the event’s purpose: to help feed hungry people wholesome and hearty food in our community. There will also be a raffle extravaganza with many fantastic items! Development Manager Judith Monte 805-937-3422 x106 with questions. This entry was posted in Featured Events and tagged Events of Santa Barbara County Foodbank, Foodbank of Santa Barbara County, Foodbank of Santa Barbara County Outreach on January 10, 2015 by Judith Smith-Meyer. GARDEN PARTY ATTIRE: SEMI-FORMAL, HATS AND FLATS. VALET PARKING PROVIDED AT ESTATE ENTRANCE. CONTINUOUS SHUTTLE FROM EL MONTECITO PRESBYTERIAN CHURCH. 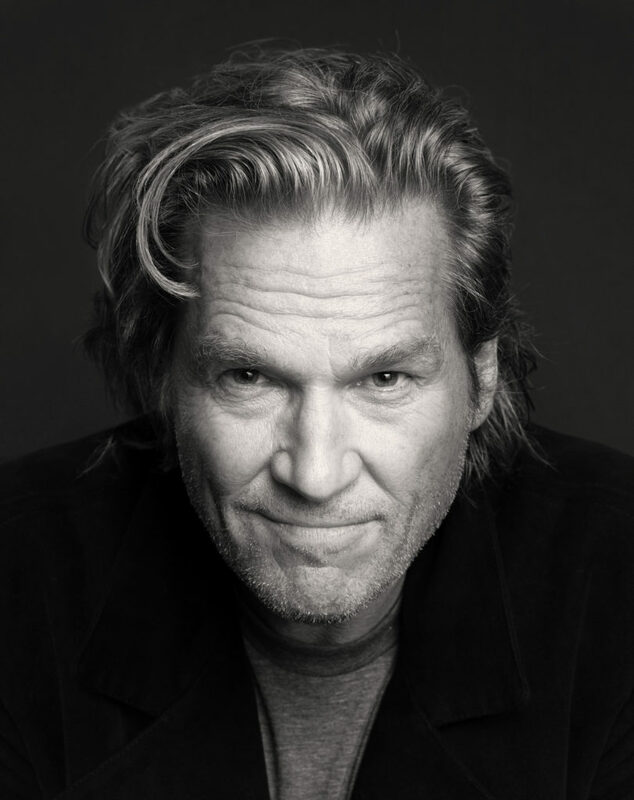 This year, the Foodbank is proud to honor Jeff Bridges for his faithful service to the mission of seeing No Kid Hungry in our time. 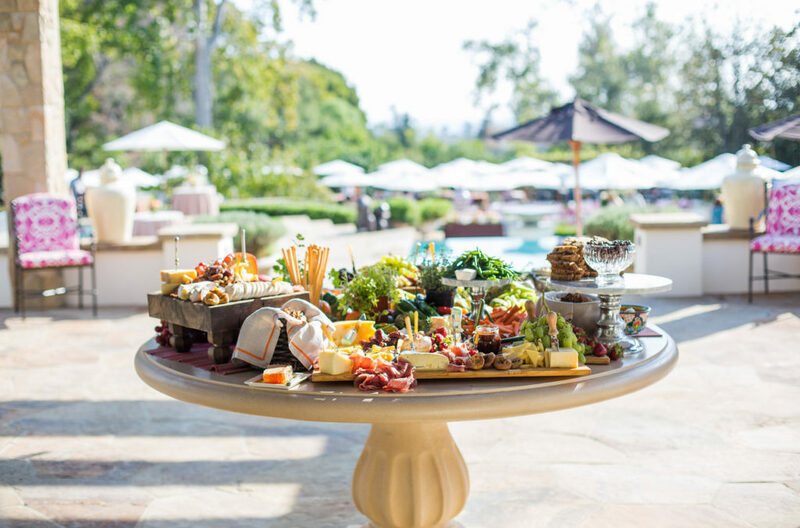 The Table of Life will be held at Stephanie and Jim Sokolove’s beautiful Montecito Estate. Proceeds will support the nutritional health of our community through building and inspiring our next generation of culinary talent. Learn more about Foodbank nutrition programs for children: Feed the Future. Event is limited to 200 guests. To sponsor, contact Matt Neal, Director of Strategic Gifts, via email or phone (805) 967-5741 x 116. Deadline is June 30, 2017 for inclusion in printed materials. This entry was posted in Events, Featured Events and tagged Table of Life Gala on January 4, 2015 by Judith Smith-Meyer.